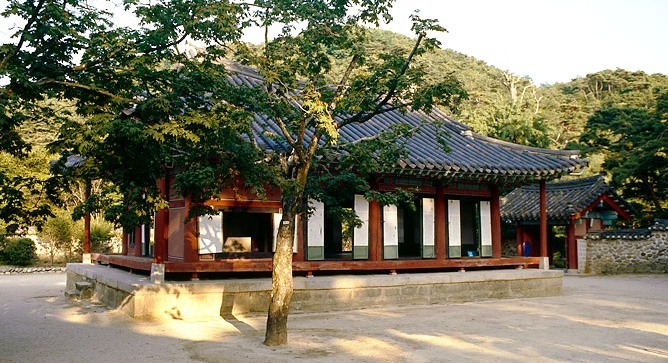 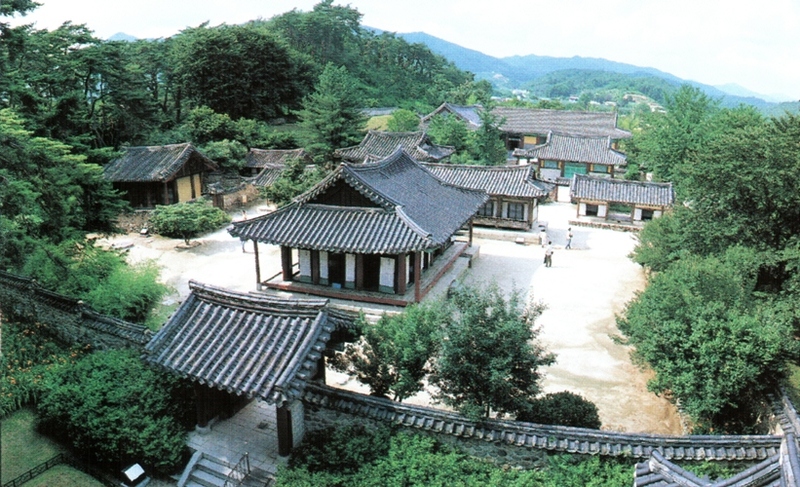 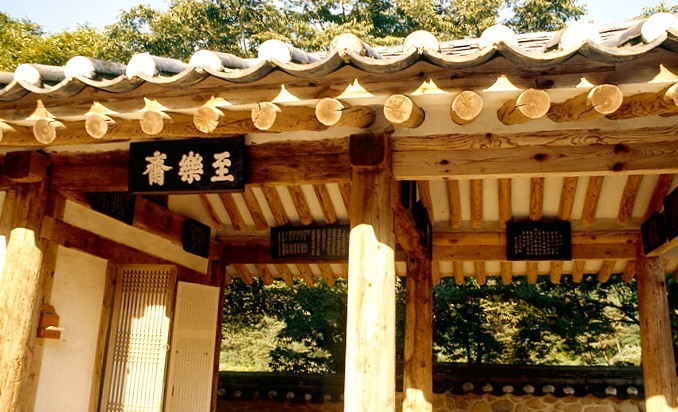 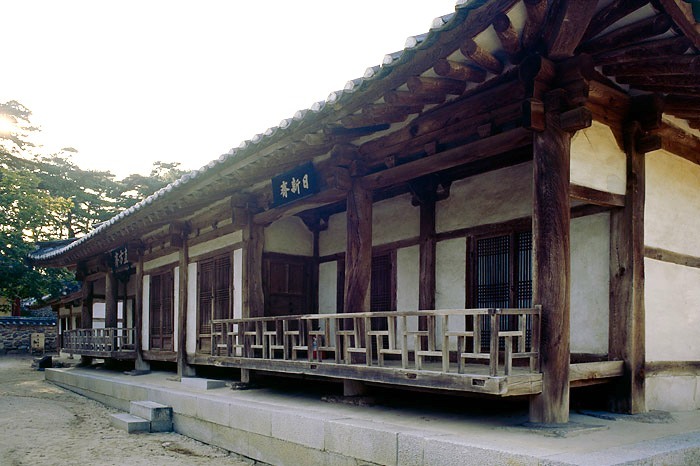 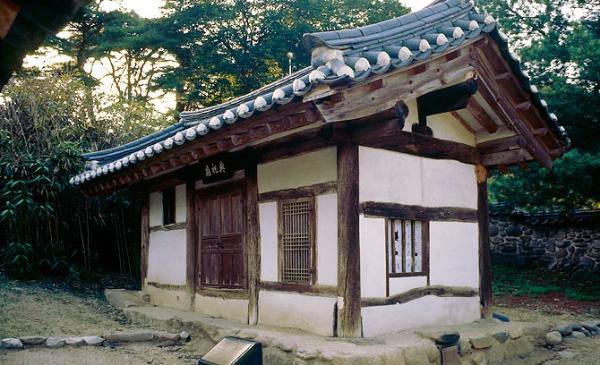 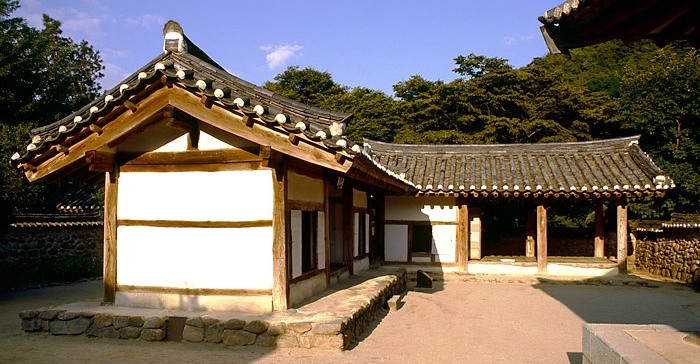 the Seosu-seowon, Korea's first private Neo-Confucian Academy-with-Shrine, in Punggi Town. 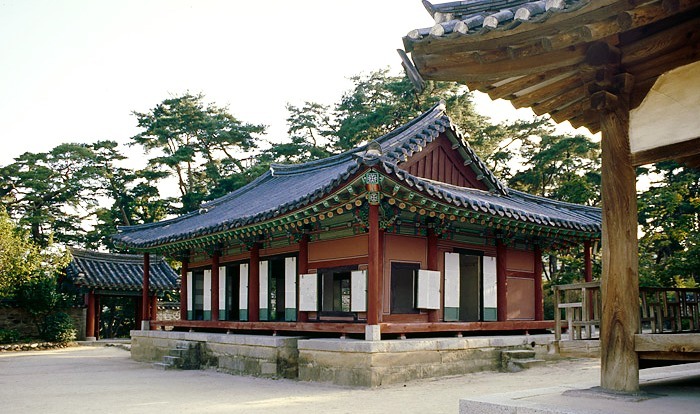 honor An Hyang, who first brought the Neo-Confucian teachings of Chu Hsi from China in the mid-1300s. 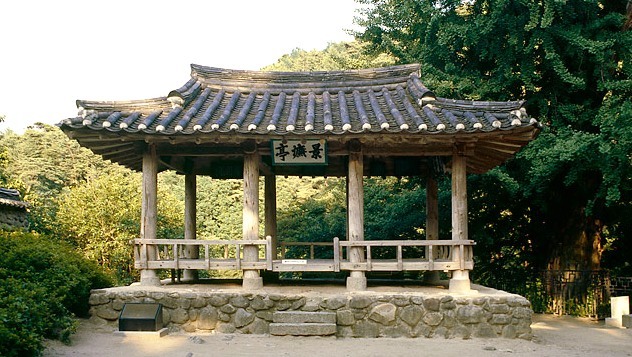 It's quite a charming and interesting place, sited next to a lovely stream just south of Sobaek-san. 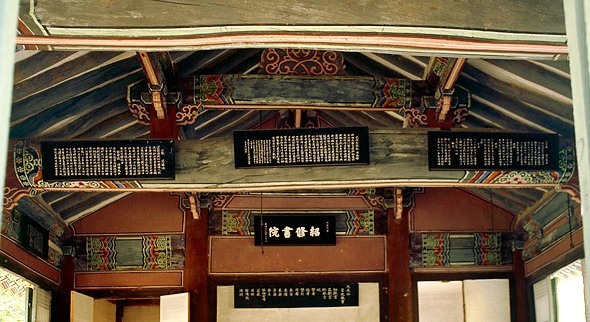 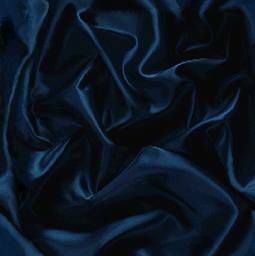 and one of its greatest sages, respectively, are venerated in the shrines of this academy. 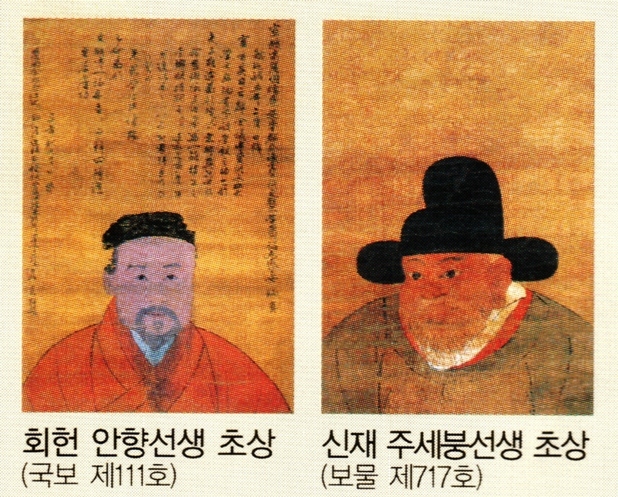 honor "Toegye" Yi Hwang for "restoring lost honor"
a century later. 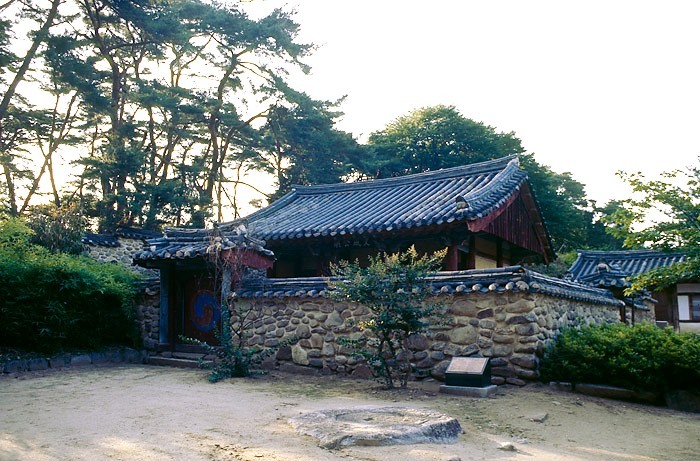 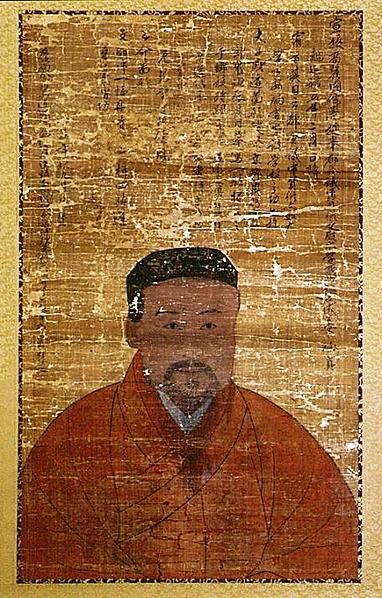 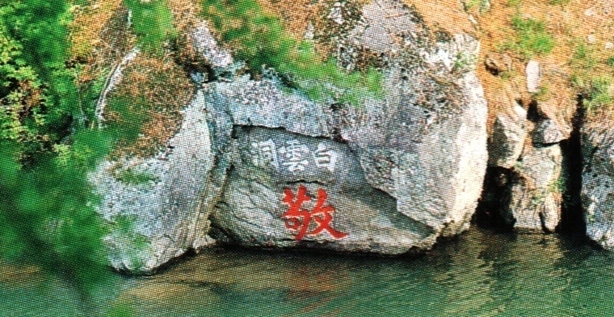 He is credited with founding the grand Confucian shrine Mun-myo in the Goryeo capital (now Gaeseong City). 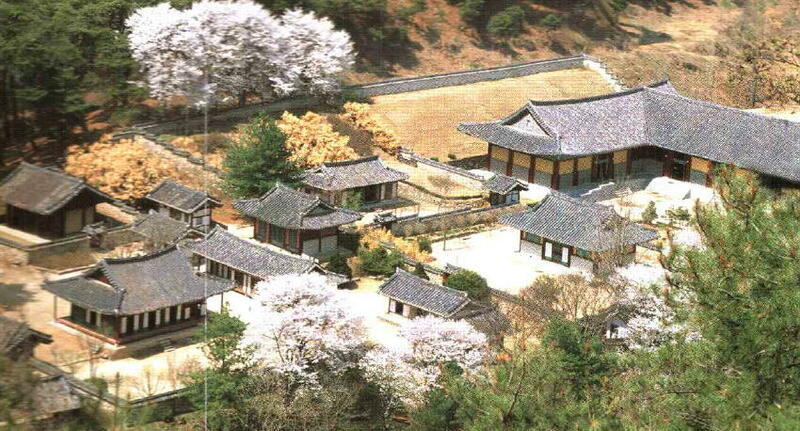 that flourished until the mid-1800s as Korea's aristocratic "high schools". 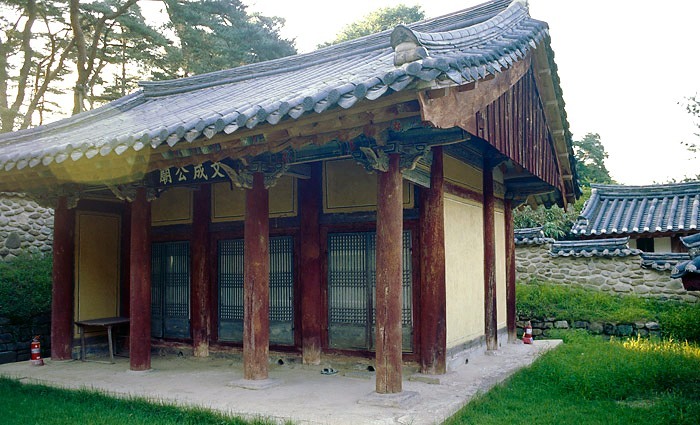 ceremonial use, now kept in the Seonbi Museum. 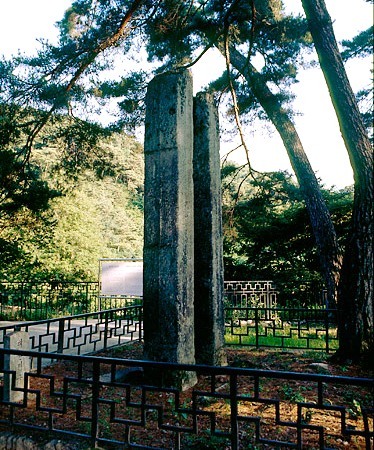 is the kind of "layering" of religious sites that one often sees in Italy, for example. 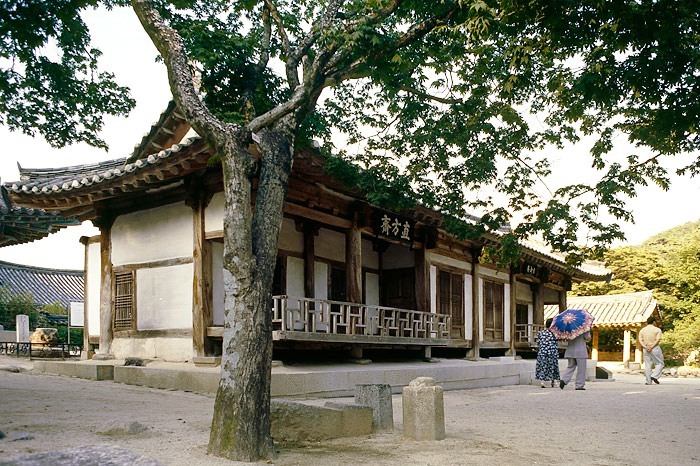 Buddhist temple Suksu-sa still stand outside the front gate.